Savor the sights and sounds of the season at Cheekwood and make lasting holiday memories with fun activities for all ages. Our enchanting Holiday LIGHTS experience is Nashville’s favorite new holiday tradition, with one million lights glowing throughout the gardens. 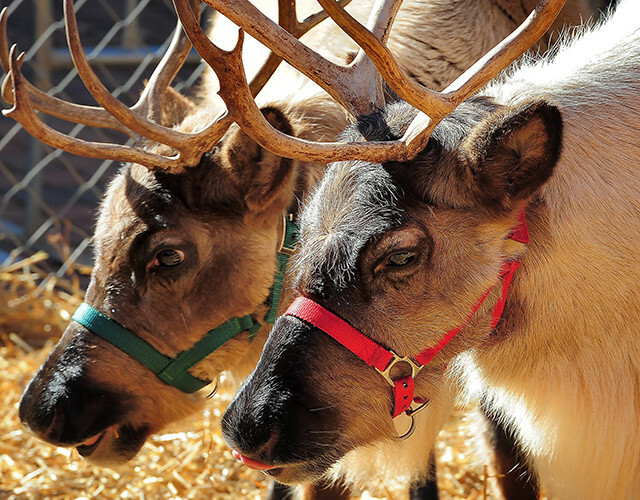 And visitors every weekend can take part in Holiday at Cheekwood festivities, including Santa visits, cookie decorating and meeting Santa’s reindeer. Kids are invited to come see Santa at Cheekwood. Santa visits are included with Lights admission. Treat your family to day of tasty fun with our Gingerbread Workshops. Roll up your sleeves and create a beautifully delicious gingerbread masterpiece from Crumb de la Crumb Bakery. They are almost too pretty to eat. Well, almost! Guests can enjoy seasonal drinks, like hot chocolate and cider, along with hot toddies, beer, wine and liquor, at beverage stations throughout Holiday Lights. Note: Additional fees for all food and drink options.